After a stunning chase near Laramie, I drove up to Buffalo, Wyoming expecting to play in Montana on the 7th. After reviewing data in the morning I had two targets in mind: the northern play up by Billings where higher dewpoints were expected along the US 212/I-94 corridor but a quick transition to linear mode was expected; or stay in northeastern Wyoming where a chance at more discrete storms in lower boundary moisture was a possibility. 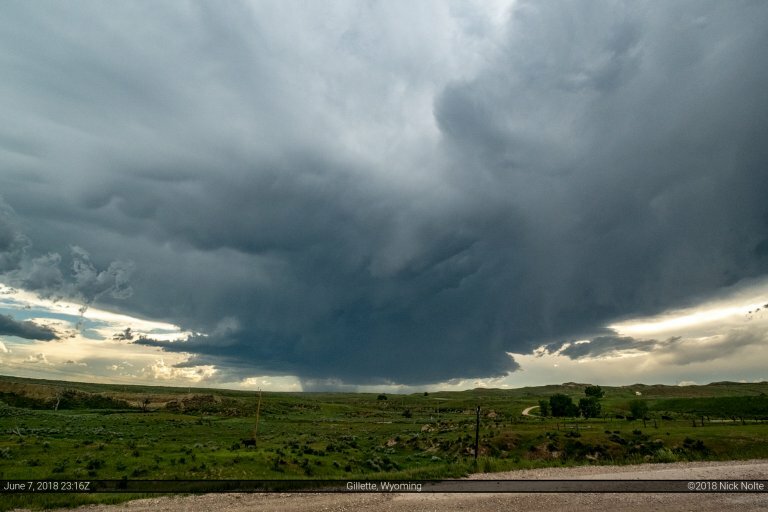 After the last chase on the 3rd in New Mexico proved somewhat successful, I spent the 4th repositioning north from New Mexico to South Dakota. 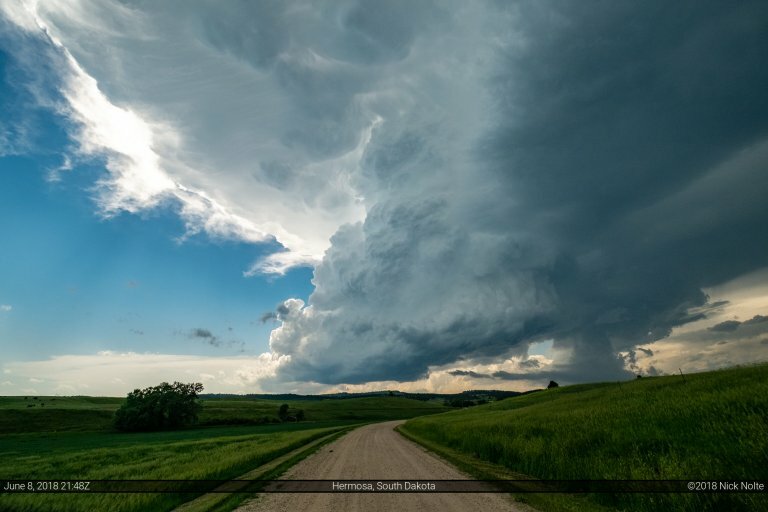 The plan was to chase North Dakota on the 5th, but despite a 2% tornado risk near Bismarck, that day ended up being a bust. 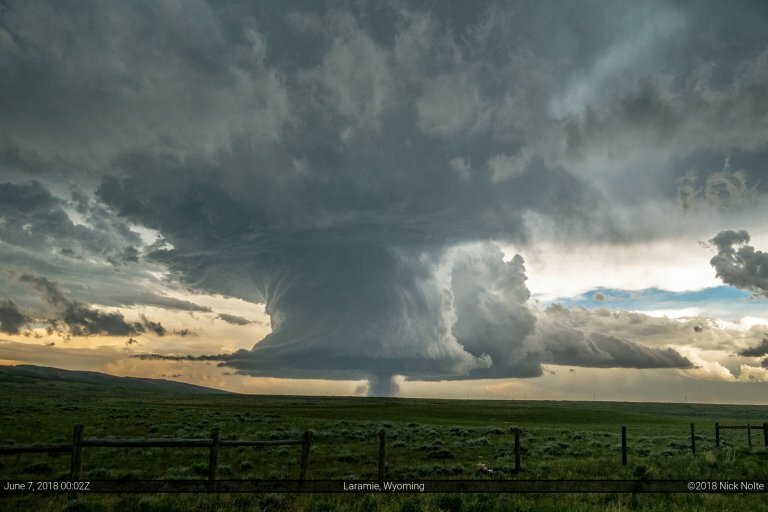 I drove from Bismarck to Rapid City that evening and planned to chase the I-25 corridor in Wyoming on the 6th. I just didn’t know whether it would be northern or southern Wyoming. After a brief local chase in Northern Nebraska on the 1st, I used the 2nd as a travel day to trek westward with my sights set on chasing central New Mexico on the 3rd. 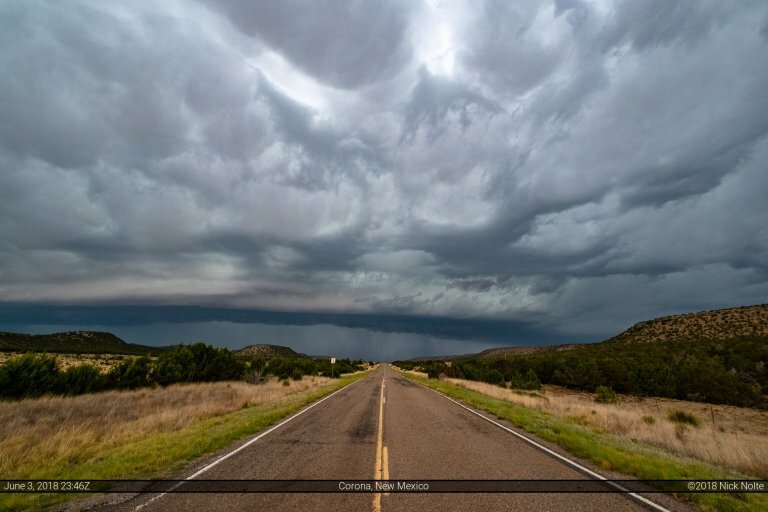 It had almost been four years to the day since my last visit to New Mexico that netted me a brief tornado near Clovis. This time, however, I would be venturing much further into the state than ever before on a chase. Albuquerque was my choice to stage for the day as it was the best option for road networks should I need to reposition in any direction. June 1 was the first day of my 2018 chasecation which I had scheduled for the 6/1 through 6/10 period. It was looking like the first decent shot for significant severe weather since the first part of May. SPC had issued an enhanced risk which they upgraded to moderate at the 1630z update, mostly for wind and hail, while the tornado probabilities remained at 5%.